The telephone is the most commonly used communications device in the home or office. Today, the threat of interception of communications on the telephone is very real and prominent, due to today's popular usefulness of the telephone and the current sophisticated and advanced surveillance market. In definition, a telephone wiretap or "tap" is an electrical or electronic device that is attached to the telephone or telephone wiring, which is used to covertly intercept information. This information is then transferred to another location or listening post, where communications can be monitored directly or recorded by equipment. Active - devices that remain connected and turned on, all of the time. Passive - devices that can be turned on or off automatically or by remote means. Parasitic - devices that draw power from the telephone line to operate. Non-Parasitic - devices that use an outside power source for operation such as batteries or AC. Series connected - when a wire pair is attached across 1 wire in a pair. Parallel connected - when a wire pair is attached across both wires. Capacitive and Inductive connected - coupling that is used through a capacitor and/or inductor in a network, whether connected in series or parallel. 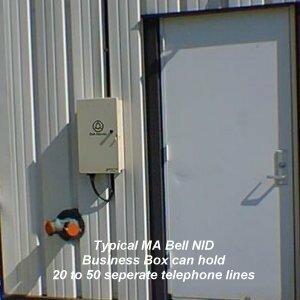 Simple Telephone Extensions - other telephones installed on the same telephone line. Lineman's Handsets - a remote telephone handset commonly used by telephone technicians. Automatic Recorders - tape recorders or digital recorders that are automatically triggered by the usage of the telephone. Infinity Taps - a device installed into the telephone in which an eavesdropper can remotely trigger this device to turn on and intercept a call. Bridged Taps - these types of taps physically connect or bridge your telephone to another telephone and/or line pair. RF transmitter type Taps - this type of tap uses a radio transmitter to send monitored information wirelessly to the eavesdropper. 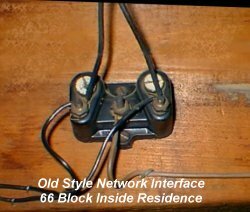 Hookswitch Bypass Taps - a modification of a telephone's hang-up switch to couple audio across the line pair when the telephone is hung up or not used. Telephone taps are electrical or electronic devices designed to be covert in their operation. There are many different types of devices, classifications and connection methods that are used in wiretapping. Telephone taps are physically connected to the telephone, telephone wiring or connected at the telephone company. Certain electrical changes take place when a telephone tap is connected to either the telephone and/or wiring connections. It is almost impossible to physically inspect all the possible places wiretaps can be, all of the time. Detecting wiretap devices has been traditionally an art and a science. The field of counter-surveillance or TSCM (Technical Surveillance Counter Measures) has been well known in the past for technicians and their equipment used in locating and defeating wiretaps and wiretapping equipment. Wiretap checks are done with specialized equipment such as a Telephone Analyzer, which has been designed to check the quality and condition of the line by analyzing and monitoring variances or parameter changes in telephone equipment, telephone lines and cables. The individual can then use these readings from a Telephone Analyzer to find and locate the wiretap device, to finally remove it from operation. Although, sometimes, a telephone wiretap can occur at the telephone company central exchange. In this case, no foreign wiretap devices are located on the premises. One can possibly imagine the complexity of a large telephone network. 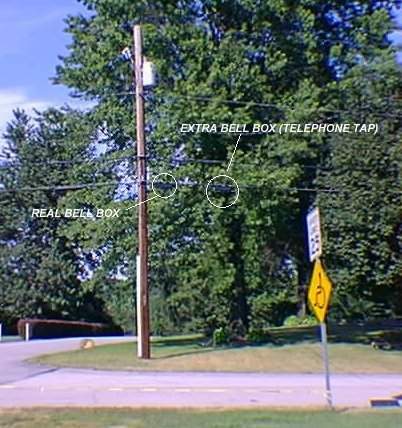 A particular "wiretap" connection may occur in 1/60 of a second to 1/100 of a second, as it is electronically connected to your telephone line. A good telephone analyzer would indicate such a response of the wiretap being placed. Our telephone line analyzer series can detect and analyze any one of the above wiretap devices discussed in this article, and display a warning to the user. In addition, our telephone line analyzer series completely monitors and analyzes all of the conditions and parameters of the complete telephone system, including the telephone, the telephone line / cabling and the connection made at the telephone company. Not only do our telephone analyzers display a warning of a wiretap, but give the individual an indication of what type of wiretap device is installed. With the owners and operators manual, the individual can now locate the eavesdropping device or problem and remove it. As to solve any problem, taking a logical approach to solve a particular surveillance situation is always the right approach. Now with a new knowledge of how surveillance devices work, where they can be placed and how to identify common types of telephone surveillance devices, the individual can now take affirmative action with the proper equipment. Remember that not all equipment that is sold in the open marketplace for counter-surveillance detection is suitable, nor has all the features needed to provide a detailed counter-surveillance sweep. Our test equipment uses the latest technological innovations to help the individual or technician in the aid of locating and positively identifying surveillance equipment. Remember, that our equipment is only a tool used to aid a person in the field of counter-surveillance. Only a human being using knowledge, skill, and a methodical approach can find a surveillance device and remove it from operation.